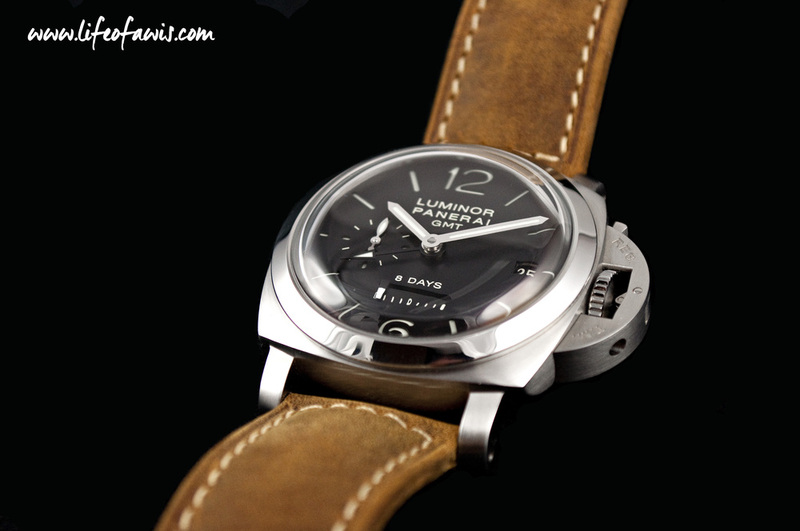 PAM 233 with a linear power reserve indicator. 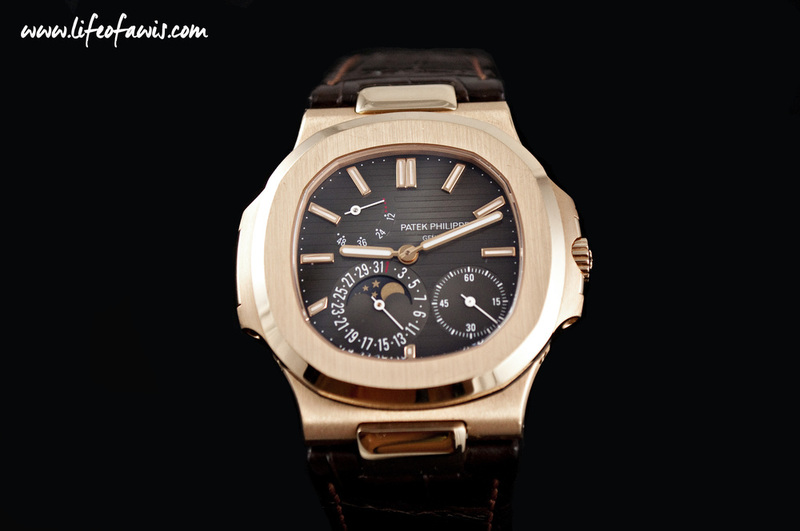 A moonphase complication can be visually stunning (think Arnold & Son) when executed the right way. But how useful is it really for me to know the phase of the moon? Unless I am a sailor or a werewolf... which I am not. The tachymeter scale looks great on my chronograph watch, but when will I ever really need to measure the speed at which I am moving over a given distance? I do not even use my chronograph to time to be honest... so yes, a flyback complication would be an overkill for me. And you get the idea... many of these complications have fancy names and look great on a watch, but are not really practical in real life. 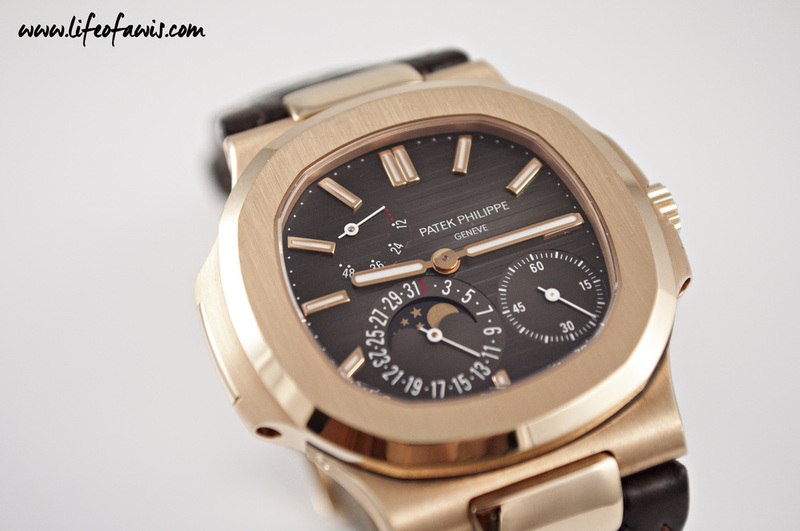 Patek Philippe (ref. 5712R) with the more traditional semi circular power reserve indicator. Personally, my favorite useful complication (OK so I cheated a bit here ;-)... technically my second favorite as I consider the date complication to be a basic necessity) on a watch is the power reserve. Here is why. When was the last time you were in a car with no fuel gauge? Or the last time you bought a cellphone that did not display the remaining battery left? Something like never. That is because knowing how much fuel is left in you car or how much battery is left on your cellphone is an essential piece of information. Likewise, knowing how much energy is left in your watch is just as important. Nothing is more annoying than to reach for the watch that you want to wear, just to find it fully unwound. Just ask @wifeofawis and she will tell you the same story... But if I can visually tell how much energy is left, then I can make an educated decision and decide if I need to wind it more right now or if I can safely wait until later to do so (without it dying on me unexpectedly). And seeing that power reserve indicator move while you turn the crown is an experience and joy all by itself... there is something rewarding and beautiful about giving life to your timepiece. So now that you know what my favorite complication is, what is yours?